Hi, lovelies! 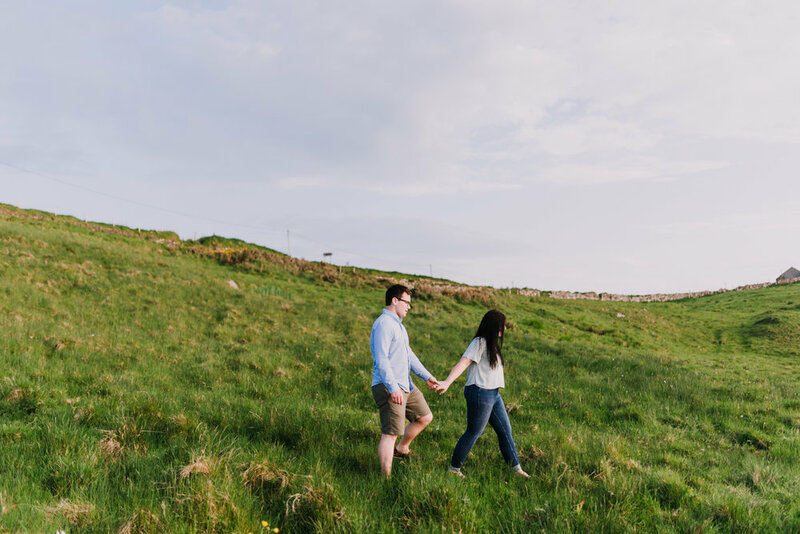 Wedding season is in full swing and I'm finding it hard to believe we're approaching September! 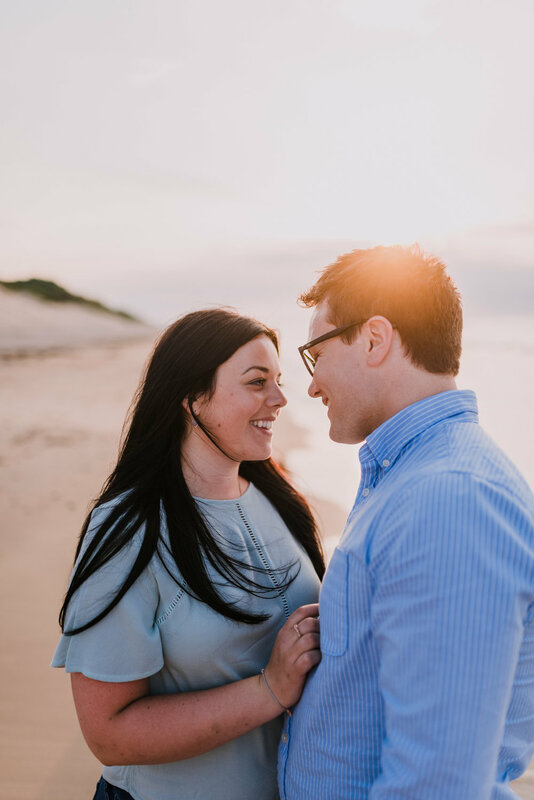 Not to mention there are so many beautiful engagements and weddings to hit the blog in the next few months - the season has been crazy busy and I'm looking forward to showing you all my beautiful couples. Today's photos are a bit different from my usual bright and airy style of editing, mostly because sunset shoots during summer heatwave are full of lush greens and golden warmth. I'm not the one to desaturate them completely, especially if my couple is getting married in December! 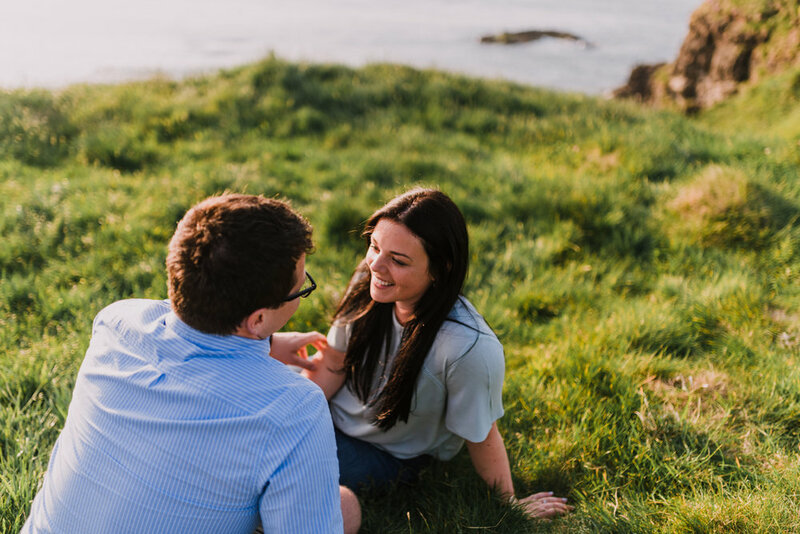 There will be plenty of grey and white on the ground for Lucy & Sam's wedding later on this year, so let's keep the engagement photos warm and glowing. 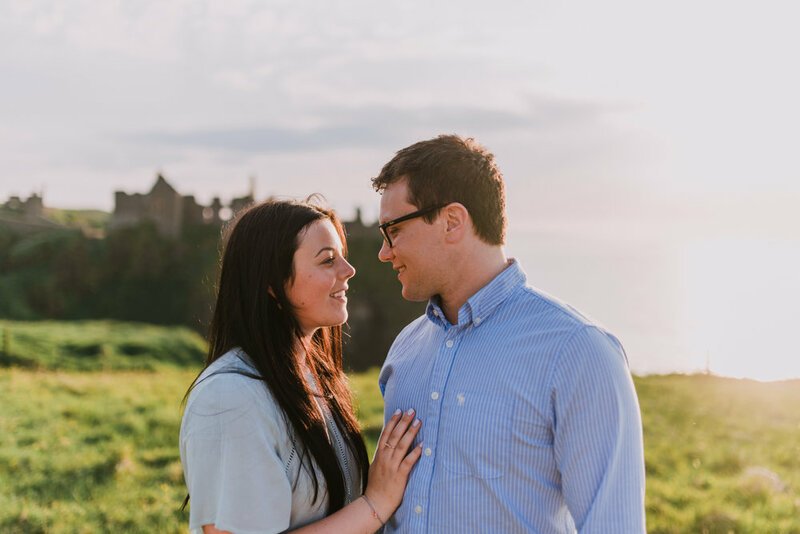 Click here to see more places for engagement or wedding photos in Northern Ireland.